There are plenty of festive events taking place in London over the next couple of months, so you certainly won’t be short of something to on the evenings and weekends. But if you want to make the events extra special, why not consider hiring a limousine over the Christmas / New Year period? Here we’ll share some of the Christmas and New Year events that you may want to hire a limousine for! Make your night at the Winter Wonderland all the more magical by hiring one of our limos. The Winter Wonderland at Hyde Park is now officially open and it’s the perfect place to get into the festive spirit. With fairground rides and Christmas market stalls selling seasonal food, drinks and gifts, you are sure to have hours and hours of fun. 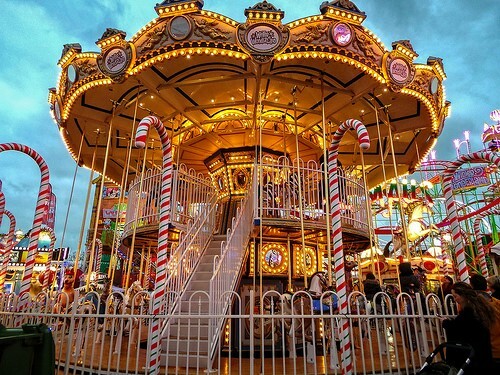 If you are looking to make your trip to the Winter Wonderland with the kids even more memorable this year, why not hire a limousine to take you there? You can even go on a tour of London beforehand to see all of the beautiful Christmas lights. Once it’s time to go home, your limousine driver will pick you up again, so there’ll be no need to worry about missing the bus or having to cram yourselves onto a packed tube! If you have already been to the Winter Wonderland, why not visit Winterville opening in Victoria Park, Hackney on 2nd December? This is a brand new Christmas village that will offer plenty of fun for all the family, with promises of a covered ice rink, Ferris wheel and horse-drawn carriage rides for the kids, as well as trendy street food, entertainment and local craft beer for the adults. Arrive at Winterville in style by hiring a limousine for you and your family. We’ll even play some Christmas classics on the way to get you in the festive spirit! Are you taking the kids to a Christmas pantomime in London this year? Make it a night to remember by hiring a limousine to take you and pick you up. Your kids will feel like rock stars and you’ll officially be crowned coolest mum and dad of the year! There are plenty of pantomimes and shows taking place over the next couple of months including The Snowman at The Peacock Theatre, Beauty and the Beast at the Theatre Royal Stratford East and Robin Hood at Winterville, with something for everyone to enjoy. Fancy touring London and seeing all of the stunning Christmas lights without having to battle the crowds of shoppers and tourists? Hire a limousine for the night! Not only will you be able to avoid the busy London streets, but you’ll also be able to enjoy the scenery with a glass of champagne (or two) in hand! We can’t think of a better way to explore the capital. Celebrate the New Year in style by travelling to the Mayor of London’s firework event in a luxury limousine. Once you have got your Christmas plans sorted, you’ll need to start thinking about what you are doing for New Year and if you ask us, there’s no better place to see in the New Year than London! 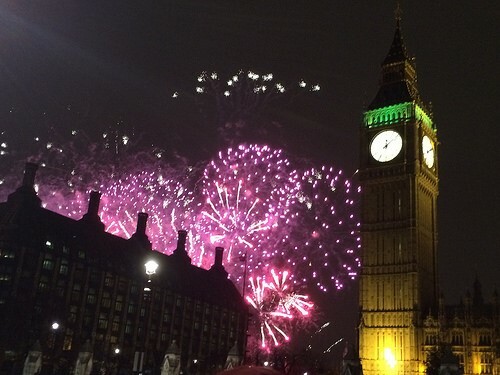 The Mayor of London’s NYE Fireworks events are always spectacular and the atmosphere is like no other. Hire a limousine to take you to this year’s firework event in the capital and avoid the hassle of having to hail down a cab or find a parking space. We’ll even play your favourite party tunes on the way and provide a glass of bubbly to get you in the mood to celebrate! If you are interested in hiring a limousine in London for these events or any other parties you have planned, get in touch today for a no obligation quote!